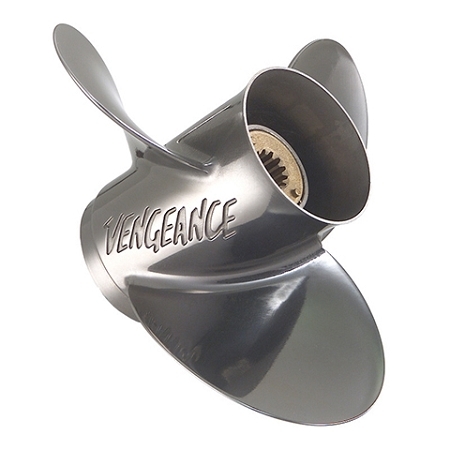 The Vengeance three-blade stainless steel propeller is an excellent choice for the boater who wants to upgrade from an aluminum prop. The Mercury Vengeance is a fine propeller for outstanding durability and good overall performance on most outboard and sterndrive-powered boats. Proven blade design. Better acceleration and handling than 3-blade aluminum.